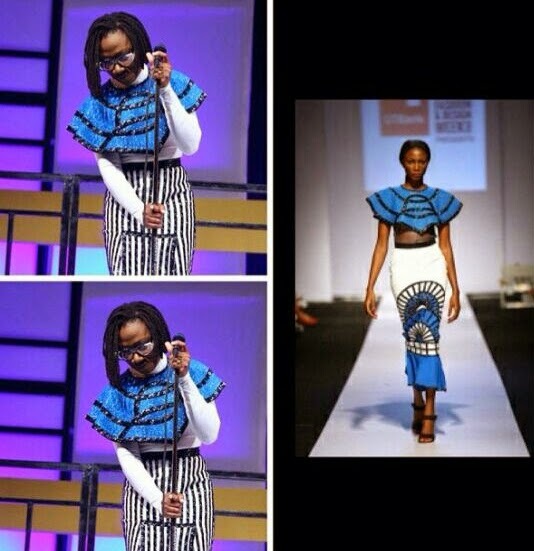 CHECHESMITHNATION : Asa Looked Gorgeous @ D Future Awards 2014. At the future awards 2014 held at the intercontinental hotel Victoria Island Lagos, Internationally renowned artiste/guitarist Asa ELemide performed singles from her new album "Bed of stone" . She looked all glam wearing the gorgeous beaded cape dress from Iconic Vanity SS15 collection debuted just five weeks ago. Tell me about class!